Sharon believes workouts should be fun! She assists you in creating obtainable goals, motivates you to work hard and achieve more! She enjoys working with all ages, motivating and keeping a positive outlook on physical activity. Hi, my name is Kelly and I have enjoyed partnering with clients with a variety of goals for the last 14 years. I believe in the importance of caring for your body through movement and balanced nutrition. Movement is life! It is a joy when a client discovers that exercise helped them sleep better, relieved neck, back or knee pain or improved flexibility. Add in some balanced nutrition and you’re on your way to a healthier body! I have scoliosis. That physical challenge has been my catalyst to learn about core strength, posture, movement and flexibility. I love spending time outdoors with my family biking, hiking, camping and walking with our dog Aggie. I enjoy gardening, reading, creative projects and sleeping! Tonya's Mission is to inspire people to change their lives by becoming more physically active and to educate them in the area of fitness and nutrition. Her goal is to help clients obtain measurable realistic goals and optimize there chance for a successful experience. Barry's training principles are based on his clients needs. In his years of experience he has found that a mature and sensible training program will help the client reach their fitness goals. Those principles allow him the ability to train clients with different fitness levels. Hello my name is Micky. I've been a trainer at The Workout Co. for almost a year now. I have experience training ages 13-18 in sport-specific performance. I recently completed my undergraduate internship with St. Louis University with the sports performance department working with elite collegiate athletes. My philosophy is dynamic and functional movement. I believe speed, strength and power can help athletes perform and excel at his or her sport. 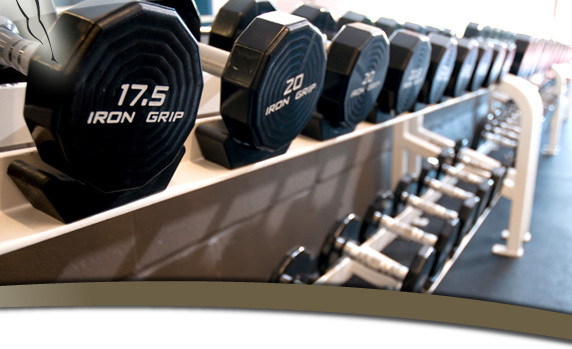 Created Power Weights Class focusing on muscle strength and conditioning. "Motivation to encourage a lifestyle change, not just weight loss, for a healthier you."